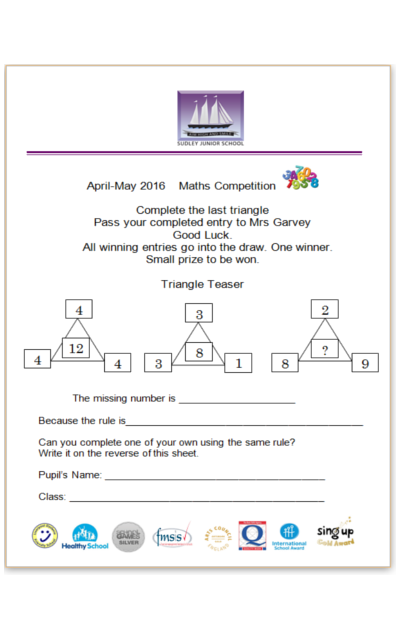 This month's Maths competition we are asking children to complete the last triangle on the competition sheet. You can receive a competition entry form by asking Mrs Garvey or your class teacher. All entries must be returned to Mrs Garvey.